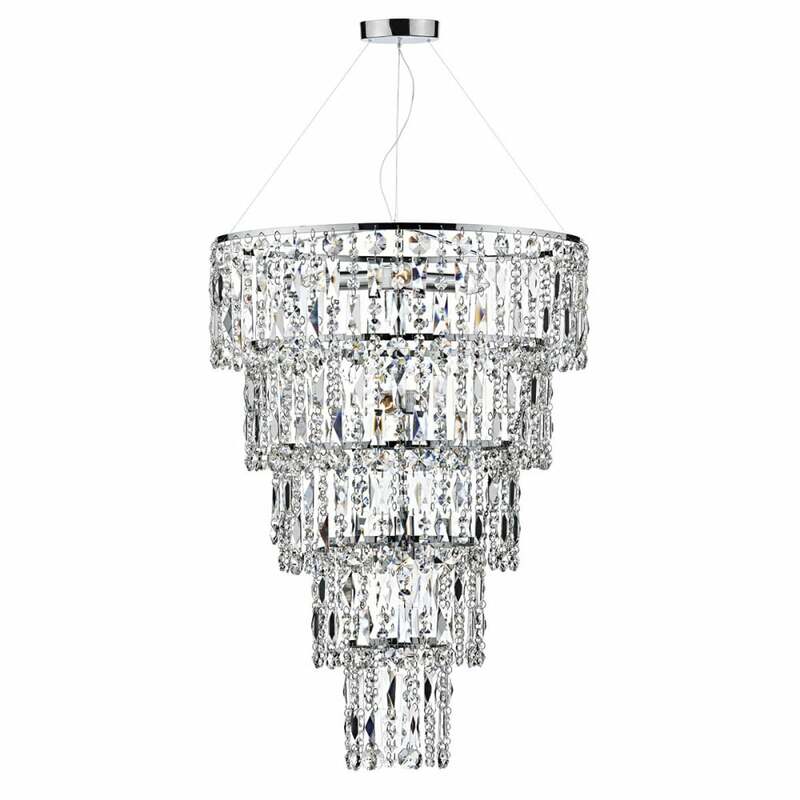 Modern Chandelier, crystal tiered high ceiling light fitting. A decorative round 6 light tiered ceiling pendant with a polished chrome frame and crystal glass droplet shade. Suitable for use in any setting and an ideal feature light for a dining room or long drop stairwell. The pendant is height adjustable at the point of installation and is double insulated for safe use without need of an earth wire. It can be switched by standard switch or wired with a suitable dimmer switch. This is sure to add a sparkle to any setting.